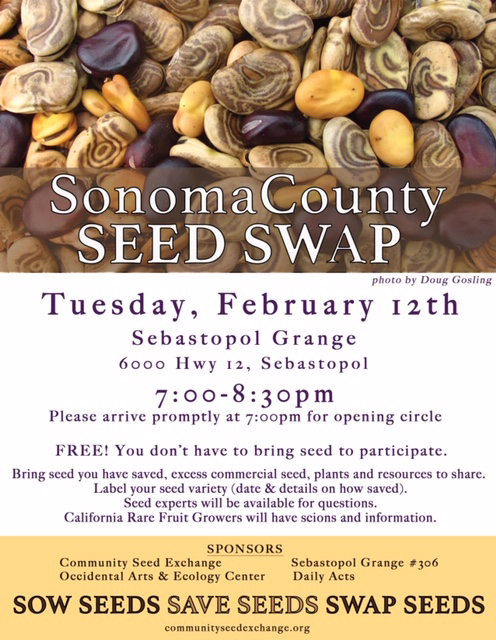 Home › Uncategorized › Sonoma County Seed Swap 2019 happens Tuesday Feb. 12! Bring seed you have saved, excess commercial seed, plants and resources to share. Label your seed with date &amp; details. You don’t have to bring seeds to participate. ‹ You are invited to our Grange Holiday Party on Tues, Dec. 18!